The starting point of this installation was Rosemary Brown, a British housewife without any formal music training, who claimed she was communicating with the spirits of famous dead composers such as Beethoven, Haydn, Liszt and others. She claimed that the composer ghosts not only talked to her but also made her write down their new scores. Musicologists who studied those compositions had unsurprisingly inconclusive and varied opinions about the validity of her claims, and Rosemary Brown has remained a rather marginal phenomenon after her small media sensation of the 1970s. This installation encapsulates two musicians in a room equipped with two pianos. Over the course of the exhibition, these musicians give live performances of Rosemary Brown's transcriptions attributed to otherworldly incarnations of Beethoven and Haydn, and these performances are alternated with the periods of time when the recitals are played from a recording. 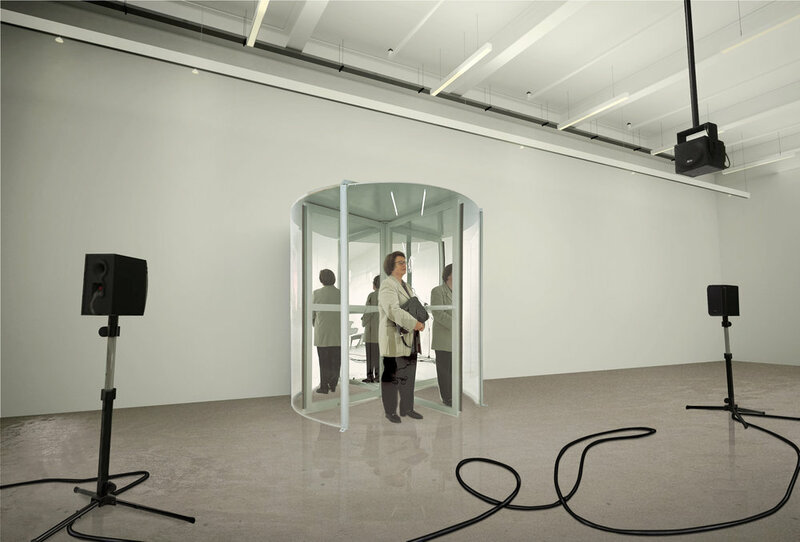 While the viewers were invited to observe these recitals, they are not able to actually hear the performance, or other hypothetical presences and occurrences registered inside the room, because the room is equipped with soundproofed revolving doors. After viewing this recital, viewers were provided with a take-home audio recording upon leaving the installation site.